The third poster in our series is now available! 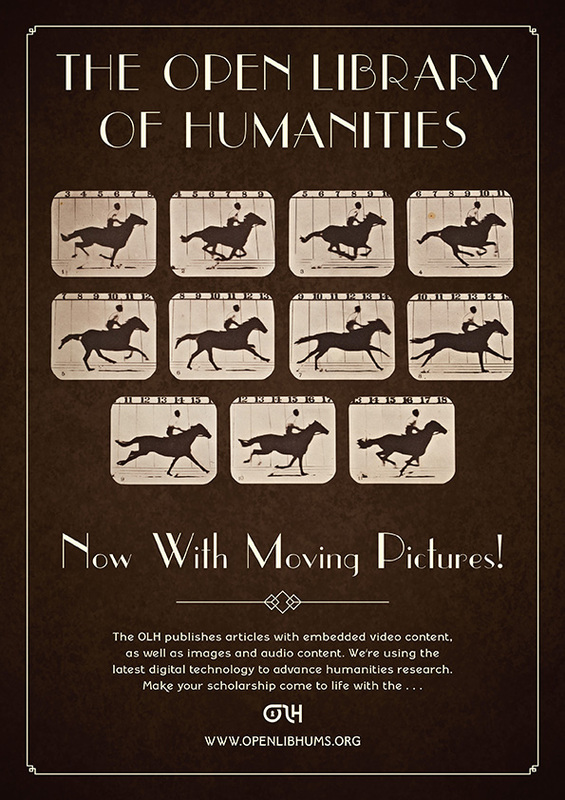 Following the success of our first two posters – the Victorian Poster and the Constructivist Poster – the new Muybridge Poster showcases the OLH's commitment to supporting the publication of audio visual content including video essays, film clips, and music clips and other audio files. We are grateful to our fantastic graphic designer, Becky Chilcott, for developing this poster for the series. Over the coming months we will be releasing more posters, each of which is dedicated to a different historical period and design style to represent the wide range of scholarship that is published with the Open Library of Humanities. 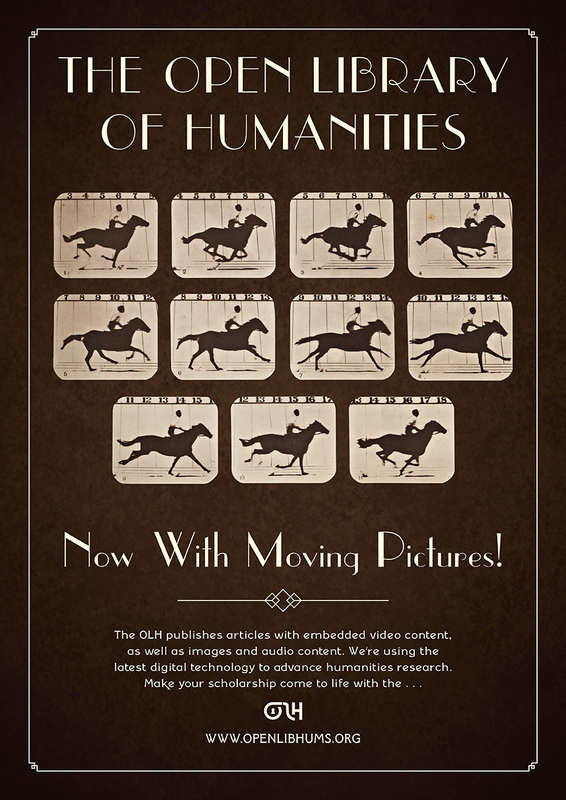 We would like to send the Muybridge Poster out into the world – and we warmly encourage you to download, share, print off, and put up this poster wherever you feel it might be appropriate! To access the web and print files of the poster, please click below. Don't forget to send us photos of your poster adorning any available wall space or your office door!